Maria Luisa Barquin (Olagorta), age 84 of Glen Rock, NJ passed away Saturday, November 10, 2018. Born and raised in Havana, Cuba, she immigrated to the United States in 1960, residing in Miami, FL, Manila, Philippines and returning back to the United States residing in New York City for 30 years prior to settling in Glen Rock 3 years ago. Luisa lived life fully. She was uncompromising in her love of her seven children, family and friends, and passionate about creating beauty and joy wherever she was. She traveled the world and brought an international flavor to all that she did. She will be remembered for her beautiful, soulful singing and guitar playing, for her tremendous sense of humor, and mostly for her kindness and ability to put a smile on your face. Prior to retiring, she was an Executive Assistant with Galesi Group in New York, where she worked for many years. 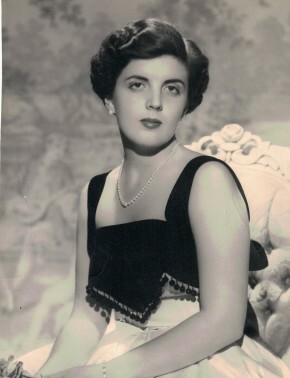 Beloved mother of Maria Luisa Arratia and husband Richard, Pedro Barquin and wife Betty, Maipi Deraney and husband Richard, Jose Barquin and wife Lana, Pablo Barquin and Michele Stefani, Maite Brace and husband Alan and the late Loli Berard and her late husband Roger. Cherished grandmother of Ari Arratia, Christopher and Devin Deraney, Tristan, Gabriella and Alesio Barquin, Roger Berard, Lucas Berard, Sophia Gellatly and husband Luke, Victoria Barquin and the late Jason Berard. Loving great grandmother of Cosimo Gellatly. Dear sister of the late Concha Tous. A Funeral Mass is planned for Thursday, November 15, 2018 10:00 AM at Our Lady of Mount Carmel Church, 1 Passaic Street, Ridgewood, NJ 07450. Cremation will be private. In lieu of flowers, donations in memory of Maria Luisa Barquin may be made to Alzheimer’s New Jersey, 425 Eagle Rock Avenue, Suite 203, Roseland, NJ 07068 or www.alznj.org.